Comments: Mimosa wilt kills them by the hundreds of thousands and supposedly resistant varieties were introduced, but failed to live up to expectations. Even trees susceptible to wilt will live several years before dying with wilt infections. However, there are communities across the South where some trees still flourish. Regardless of the problem with diseases, this is a relatively short-lived tree when compared to trees like oaks, elms, ash and other deciduous trees. Has drought and wind tolerance. 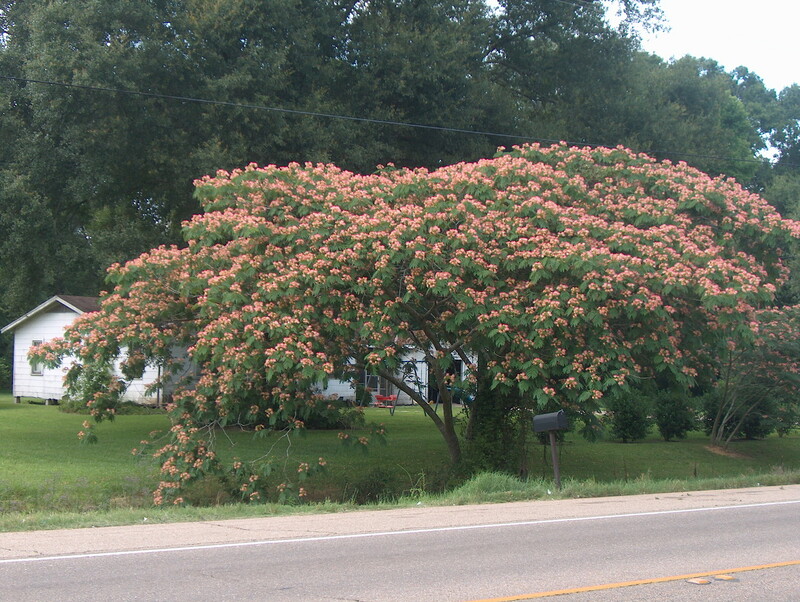 The low, broad spreading crown is a special feature of mimosa trees.